Somewhere in my childhood, I learned a "virtue" that you should always put others before yourself. In a good way, right? But I don't think I learned the flip-side of that... that I could put myself first, in order to be able to serve others more fully. That I am enough, and worthy of that attention, just as I am... and that is what uniquely qualifies me to be of service in this world. I've built a few businesses based on putting myself out there for all to see... in some cases, really see what my life is like. So, it's easy to get wrapped up in what others think (not to mention aimless Instagram scrolling that traps my attention more often than I'd care to admit!). But I've been coming back the simple mantra: "You are enough," as I make sure I'm putting myself in position #1... because it's for the greater good. Especially when it comes to business. I'm going to venture a guess you, too, have dreams and fears about transitioning from j-o-b to earning in your own right, too. I want to help you say YES to your genius and stop doing all of the things that are getting in the way of making things that feel good to make. What matters is that you use your dreams as fuel to move you forward. That’s why I’m inviting you to my Fire Starter Sessions 10-week Online Course. Based on the book by Danielle LaPorte, The Fire Starter Sessions is the permission slip you’ve been waiting for — to fully want what you want and go for it, to expand your consciousness and your cash flow, to up the ante on your dreams, to be incredibly generous with your love... all from the comfort of home! Wear your PJs, bring some wine or hot tea, call in while you're out of town or from the comfort of home, and soak up all the goodness of this supportive sisterhood! ... and many more burning questions about your truest desires — from career to relationships — that will help you get clear that the only permission you need to shine… is your own. 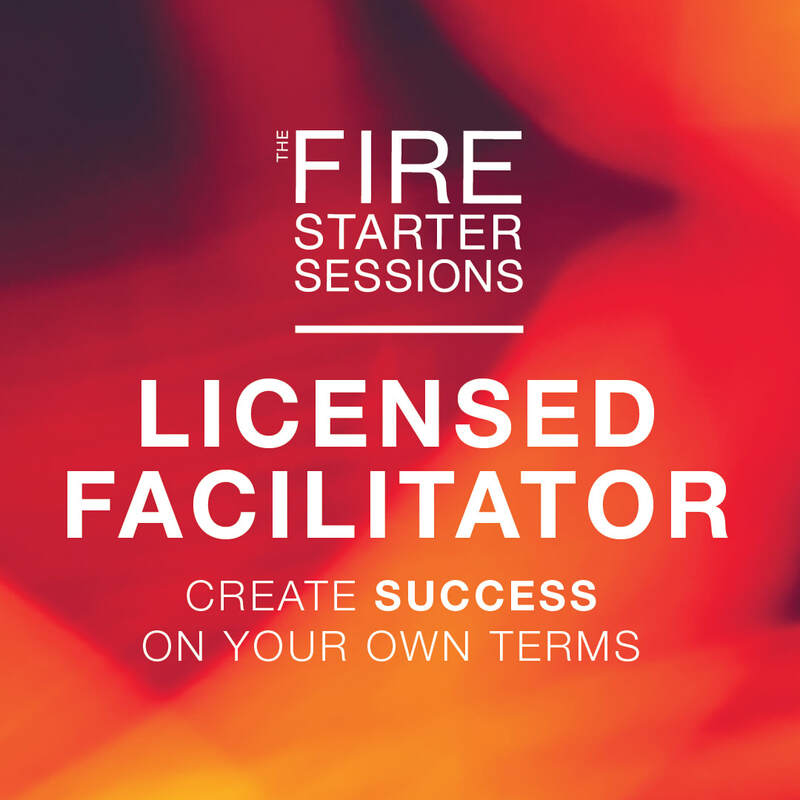 The Fire Starter Sessions has changed the way I live and thrive in my business, and I am so thrilled to share this experience with you. We meet every Tuesday LIVE at 7pm MST via Zoom — an online video conferencing service. You will gain access to a private Facebook group only for group attendees, and all calls will be recorded and you will have access to those recordings forever. You will be sent a virtual copy of the workbook prior to the start of the course. Everyone will also have an accountability buddy that they're teamed up with to help hold each other accountable throughout the program. Although the book is not included or necessary for the course, we do highly recommend it! We sell them locally at Yoga Hive Montana (where you don't have to pay shipping! ), or you can purchase one fromDanielleLaporte.com. Interested in my next FSS group session? Click here to shoot me an email — I'd love to set up a private session, or a group session for you and your friends! ​Interested in incorporating TFSS into your own coaching practice? The Fire Starter Sessions curriculum, based on the book by Danielle LaPorte, has been working its way into yoga studios, one-on-one coaching sessions, and classrooms of all kinds and age groups. I am a proud affiliate and facilitator of this work and am so pumped about the transformations I’m seeing in the clients I serve. If you’re a natural born leader — teacher, maven, coach, entrepreneur — you should absolutely check this out. Click below to learn more..